The five-member national selection committee of the Board of Control for Cricket in India (BCCI) has named the 15-man India squad for the ICC Cricket World 2019. All-rounder Ravindra Jadeja has been included in the squad for the world cup, which will be led by Virat Kohli. Rohit Sharma has been retained as the vice-captain of the side. 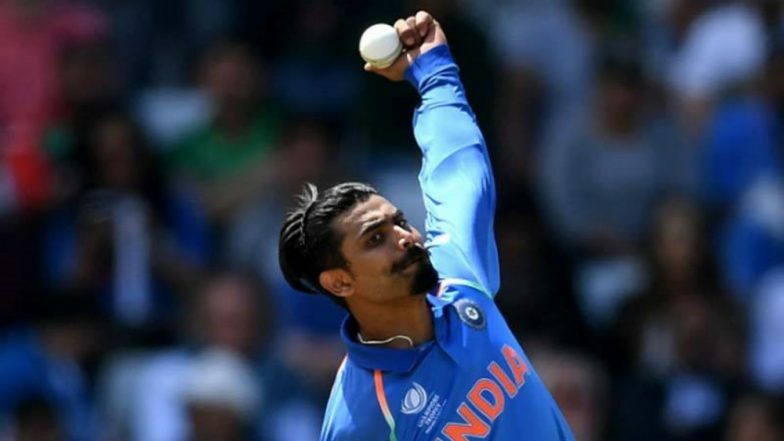 Jadeja was competing with another all-rounder Vijay Shankar for a place in the world cup squad and selectors included both. ICC Cricket World Cup 2019 Schedule in PDF: Ticket Prices, Dates, Venue Details & Timetable Available for Download Online. The spin bowling all-rounder has been in and out of the Indian ODI team. Jadeja, however is the regular member of the Test team. Jadeja of late has not done well with the bat for India. Also his bowling has not been that effective with Kuldeep Yadav and Yuzvendra Chahal being India’s first choice in the spin department.